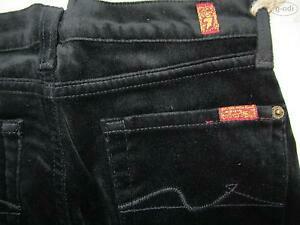 7 For All Mankind Bootcut Jeans Gr. 10, W 25 /L 28, NEU ! warme Samt Hose, USA ! 7 For All Mankind Bootcut Jeans Hose Gr. 8, W 24/L 26, NEU ! Samtig bequem, USA!